A few days before Christmas, I was named a Purex Insider—and was offered the opportunity to sample and review the latest Purex laundry product: Purex® Complete Crystals Softener™. A few hours after I received notice of my “insider” status—I received a cute little, glossy package in the mail containing a sample sized bottle of the latest fabric softener hitting stores December 28. Well—it is no secret that laundry is not my friend. 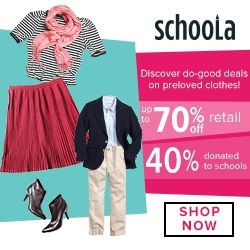 Our eldest daughter wears a school uniform—which means that she wears not one outfit per day, but two or three depending on the season and the day’s activities. The baby of the family, actually now nearly 5, is a georgeous little slob. She doesn’t eat nearly as much as she wears. So—laundry day always presents challenges. Most weeks, I’m lucky enough to simply accomplish it—making it soft and fresh smelling? Not usually. I rarely EVER manage to get fabric softener into the rinse cycle, the fabric softener balls are a pain and most of the fabric softener dryer sheets send my middle one’s sensitive skin into rash frenzy. 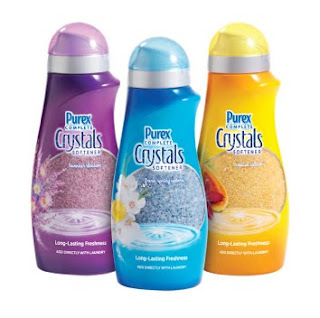 How is Purex Complete Crystals Softener different from traditional fabric softeners? First of all, the unique crystal formulation allows Purex Complete Crystals Softener to be put directly into the washer drum at the start of the wash cycle. It then dissolves and infuses into the fabric fibers rather than simply coating them like traditional fabric softeners leaving a long lasting fresh clean scent. Most impressive to me, it is safe to use on fire retardant sleepwear, wicking athletic apparel and bath towels without damaging the effectiveness of the clothing or fabric. 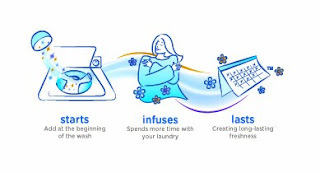 What would Purex Complete Crystals Softener do for my laundry day? When I review a product, I look at three basic factors: (1) Ease of use—Moms are busy and many products are used during chaotic multitasking and must be easy to obtain and use. (2) Product quality. I don’t have time or cash to waste on poor quality products. It needs to do what it says as best as can be expected, and needs to be appealing. (3) Value. Obviously, in today’s economy, the product must be worth its price tag. How did Purex Complete Crystals Softener stand up to my mom review? Was Purex Complete Crystals Softener easy to use? I was provided a sample of the Fresh Spring Waters variety of the product. Simply measure out the suggested amount per load, add directly to the washing machine with your laundry, and launder on the usual cycle. There’s nothing to remember, no risk of liquid fabric softener stains, and no goo to remove from the fabric softener dispenser. Purex Complete Crystals Softener is safe for both standard and HE washing machines. The product certainly passed the ease of use test! How does Mama rate the fabric softener quality? I put the softener through the full test in every load from delicates through bath towels and jeans. The full sized product will have an easy to use measuring device to dole out the fabric softener—my sample package had markings on the side to allow me to guesstimate the proper amount per load…I got a bit too much in my first load and the scent was quite dramatic. Read the packaging directions and, if you are scent sensitive, try adding a little less than the directions recommend! I was happy, however, that the scent softened—I suppose through the infusion process—once the laundry came from the dryer. The clothing and towels had a fresh, clean smell and that touchable softness that my laundry usually lacks! Is it worth the price? 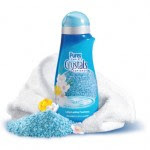 Purex Complete Crystals Softener has a retail price ranging from $3.99 to $5.99 depending on place of purchase. It’s a product that is safe for all clothing—even sleepwear as it doesn’t diminish fire retardant fibers, it’s easy to use, and the scent remains longer than traditional fabric softeners. 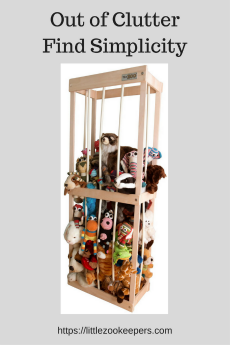 I think it’s worth the price, so this product offers a good value as well. Mama’s final thoughts? I was excited to learn that I could use Purex Complete Crystals on the girls’ sleepwear, which isn’t possible with traditional fabric softeners—and that the product would not affect the absorbency of my bath towels….another drawback of our usual fabric softener. It was easy to use; it softened and offered a clean, fresh, long lasting scent that was not overpowering. I would like to see an unscented version in the future—I have a skin sensitive daughter and husband and another daughter with asthma. So far, they have not suffered any ill effects from the bath towel exposure, but I was hesitant to launder their own clothing with the scented product. Aside from the scent concerns, I was impressed with the product and would recommend giving it a try! Want to learn more? Check out the Purex website and look for the details on Purex Complete Crystals Fabric Softener. Want to buy your own? The product is currently available at WalMart and will hit the shelves of other discount, drug and grocery stores in the near future. **PR/Blogger Disclosure: I received a free sample of the product featured in this review through my affiliation with Purex Insiders and Zooka Creative. As always, my views and opinions are my own and are in no way influenced by the company or P.R. firm offering the product. Great post about the Complete Crystals. 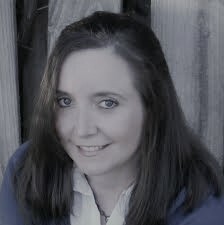 I am an Purex insider as well and I am your newest blog follower. Can't wait for more great posts! Fellow Purex Insider here. Just blog hopping around to all the other Insider's Posts. I definitely agree with you on the scents. It was overpowering for me the first time and it was because I had added a bit too much. Following your blog now. I look forward to reading more from you.